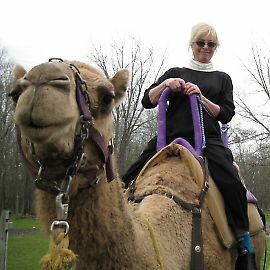 Susan Stevens has been a freelance programmer, technical writer, editor, book compositor, and graphic designer since 1981. She holds a Ph.D. in molecular genetics, a master's degree in computer science, a two-year chef's degree, and EMT certification, and she still can't play tennis or open childproof bottles without pliers. Susan lived in Japan for 10 years, working in a traditional Japanese embroidery workshop whose back wall was lined with more than 50 drawers containing silk and metal threads. Because she couldn’t read any Japanese, she sneaked into the workshop one night, took careful photos of the outside and inside of each drawer, and then created a splendid map of the contents. Soon after she assembled the montage, the head of the workshop reorganized the drawers, and Susan realized that she needed to get serious about learning Japanese in general, and kanji in particular. Her love of puzzles and the written word makes studying kanji a prime recreational activity. Susan especially loves kanji stacks. Her favorite is the non-Joyo 掱, which means "down" or "fluff" (ゼイ,セイ, セツ, けば, むかげ), because she prizes soft fibers for spinning gossamer thread and for knitting fine lace. She lives in Georgia with a retired police lieutenant named Roy, a rabbit named Rambo, a cat named Laptop, and a laptop named 猫.